Samford University’s Department of Public Health will host events the week of April 4-10 to celebrate National Public Health Week (NPHW). The events will take place throughout Samford’s campus to raise awareness about different issues regarding public health. Each day there will be a variety of events and activities offered, as well as tables set up in Harry’s Coffeehouse in University Center from 11 a.m. to 1 p.m. with giveaways and information about NPHW. The week’s activities start on Tuesday, April 5 with a panel discussion in the Christenberry Planetarium about Sexual Assault Awareness and Prevention that is sponsored by University Care Team and University Counseling Service. On Wednesday, April 6 there will be a Campus Prayer Walk in recognition of National Walking Day. The walk will begin at 1:15 p.m. on the steps in front of University Library. Internationally recognized human trafficking, criminal behavior and victimization expert, Sunny Slaughter will present “Invest Wisely in the Matters of Change: The Impact of Social Determinants of Health and Human Trafficking as a Human Rights Issue” at 3:00 p.m.; this event will offer convocation credit for all students who attend. On the first floor of University Library on Thursday, April 7, there will be a Photoessay Exhibition “Photos from the Field” to honor the launch of Public Health 101. Later that evening, there will be a film event: The Forgotten Plague, for convocation credit in Brock Forum from 7:00 p.m. to 9:00p.m. To conclude the National Public Health Week events there will be informational tables in Harry’s Coffeehouse from 11:00 a.m. to 1:00 p.m. offering information about Public Health courses and careers and an opportunity to sign the Generation Public Health pledge. Samford offers both an undergraduate and graduate degree in public health. 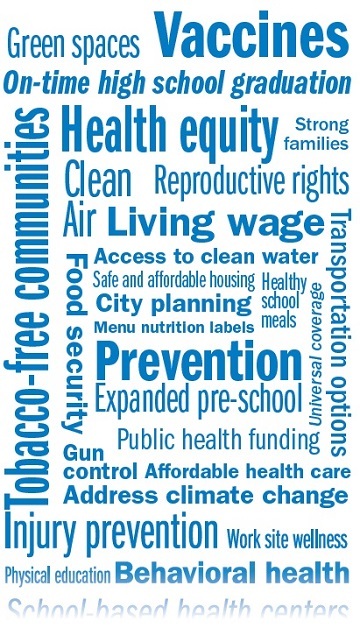 To learn more about these programs, please visit samford.edu/go/publichealth. For more stories like this, follow us on Facebook and see interprofessional education in action on Instagram.